After the preseason testing I had a feeling it won’t be that easy to get all the new things going smoothly right from the beginning of the new season. Well, that’s what we experienced in Melbourne. We had some teething issues and the whole weekend overall was a very tricky one. Obviously, while you start the new season with the brand new cars and tyres, the first priority is to get through the race and take the cheaqured flag to finish it. That’s what we managed to do and now we got the first race distance with this car, as well. In an ideal world you can start your engine and race fine since day one, but this is the real world of Grand Prix racing, and very seldom, hardly never, it happens like in a happy road movie. I have been around for a long time in this business, so this is not the first time, we didn’t get everything we wanted from the first race weekend. We have certain issues to get solved with setting up the car for me. All in all we managed to get it better day by day, but it was not enough for me to be able to challenge the top guys. We know what we should do and how to put certain things on the car to get better grip and traction. We know it won’t happen overnight as well. So we have to be patient now and focus on our own work only. At the same time we are sure, that if we manage to do everything right in the next race weekend in Malaysia, the results are going to be stronger too. In Malaysia we will get new challenges for these new packages. I am not that big fan of the heat out there. Obviously it is same for everybody and this race weekend will be done in very demanding circumstances as usual. I like to drive the Sepang circuit. It is a more normal racing track compared to Melbourne, and it differs a little bit from all the other places. I’ve had a couple of wins in Malaysia, but it won’t help us at all, while every race is different from each other. To be that hot and humid, and to get some heavy showers during the weekend, makes it a rough test for the new cars and powerunits. And it is not only for Ferrari ­ the Malaysian race will be as hard to finish for every team. We have only one way to go ­ and that’s going up! 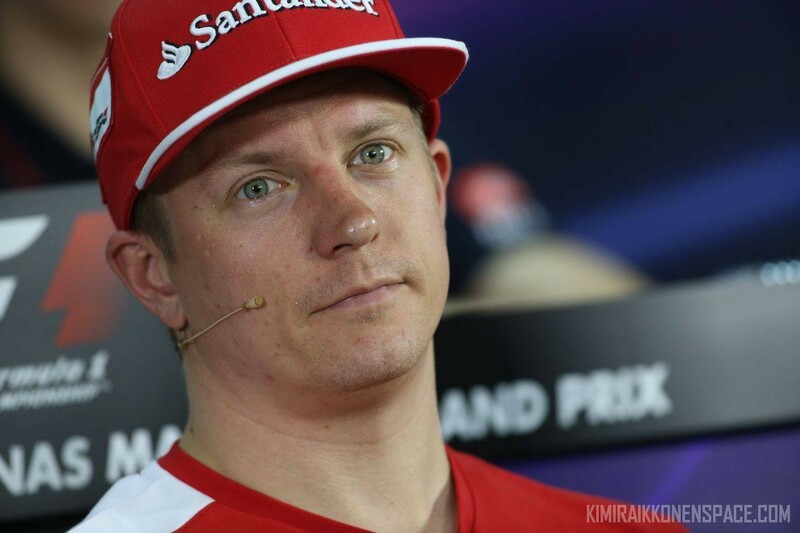 2014 is going to be an ongoing drama with Kimi. This not good enough, that not right! Watch each time something happens how he will blame the car or another driver. But never himself. kimi is a natural born driver with raw speed and super instincts. Kimi will never be a schummi, vettel or alonso. He tends to avoid all the technical stuff thats why we read/hear kimi complaining on fridays. He needs to feel the car and then make adjustments. In contrast the three drivers above will work hard during the week (technical and physical) talking alot with engineers and team members in order to work out the perfect strategy/program. Ferrari knows this and thats why I was quite surprise that he is not forced to do off racing day programs. In short, if you serve kimi the right car he will fly to the moon without competition. But if he doesnt like the program then youll hear/read him complaining. Again, ferrari knows this but is doing little about.